So when the FDA announced a HUGE recall of peaches, nectarines and plums supplied by the Wawona Packing Company back in July, I was all.. This is yet another reason to support your nearby farms and buy local! Problem solved, folks. But I got really lucky when my coworker came into work with bags of peaches from her overly abundant peach tree and told me to have at it. Food presents really are the best presents. 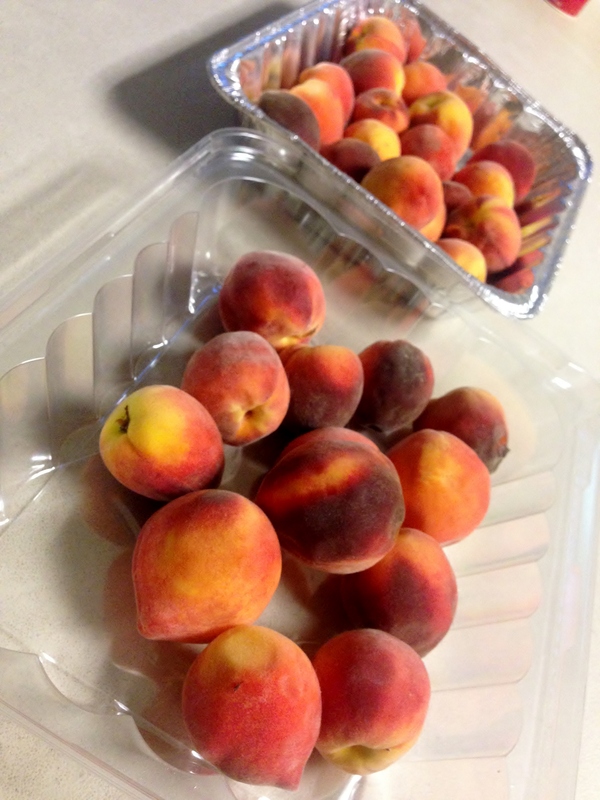 So what does a girl do with a bunch of peaches? 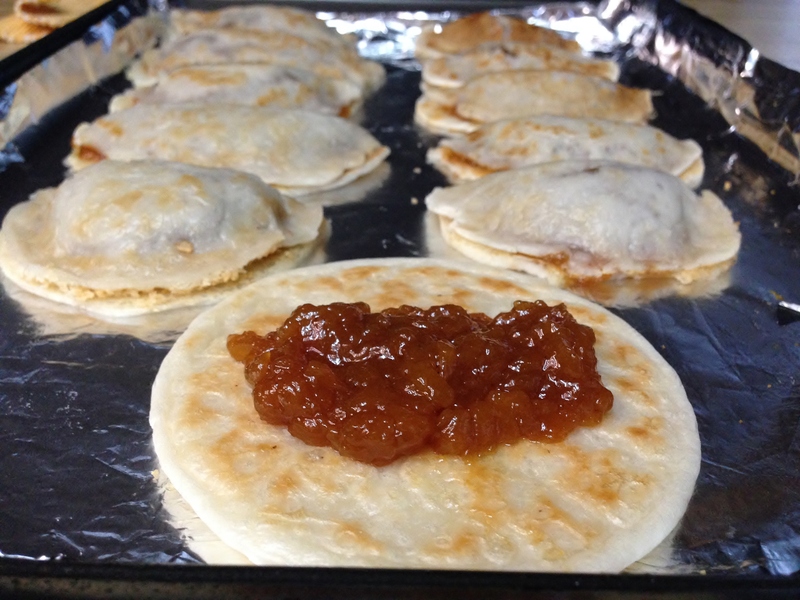 I took a poll from my Facebook crew and peach empanadas won the vote. 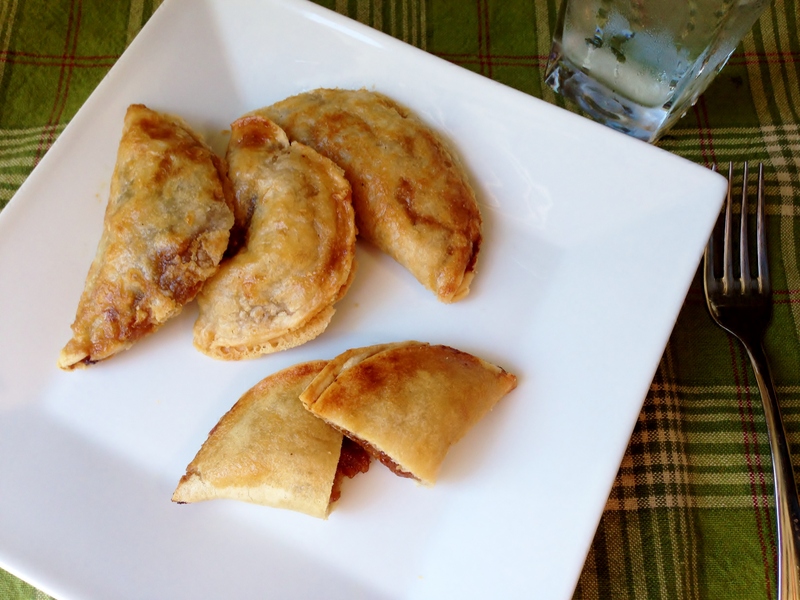 I happened upon an awesome empanada recipe from Ashley over at My Heart Beets, and thought this would be a perfect opportunity to showcase the recipe for her empanada crust. Which I happen to love and use often, because it’s so adaptable! You can come up with whatever filling fancies you at the time, and stuff those little pockets of grain free goodness. Ashley has a bunch of great stuff on her blog, so be sure to check her out and subscribe to her posts! 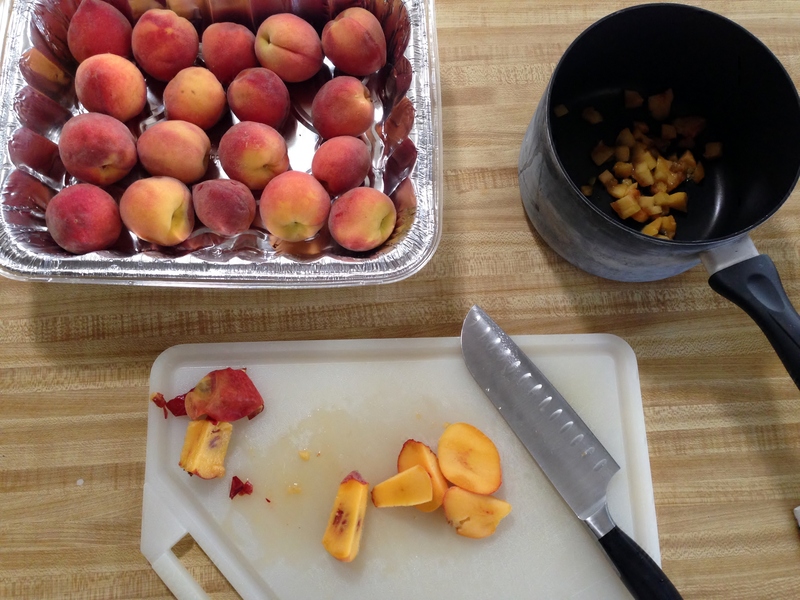 Dice the peaches into small pieces. For a more jam like filling, cut into very small pieces, which is the path I took. It takes a little more time and work, but the end result was amazing. If you prefer more of a chunky filling, you can use larger pieces and it should turn out just fine. Using a large sauce pan over medium heat, combine the peaches, honey and lemon juice. Bring to a gentle boil, then reduce to a simmer, stirring the mixture every few minutes. If you’re going for the jam like filling, it will take about 20 minutes to reduce down to that consistency. Otherwise, simmer and stir until your filling has reduced to your liking. Once done, transfer the filling to a container with lid and let cool in the refrigerator for about 30 minutes. *Note: This made approximately 2 cups of jam. I didn’t take exact measurements, but I think I ended up using about half the amount for filling the empanadas and the rest was leftover jam. I heart leftovers. Click here to find Ashley’s ingredients. Follow Ashley’s instructions to prepare the crust, but add in the melted honey and pinch of salt with the other ingredients. Whisk the egg and water in a small bowl for the egg wash, mentioned in Step 7. Ashley’s recipe calls for 30-40 minutes in the oven, but mine were a nice, golden brown by about 25 minutes. Keep an eye on them to ensure they don’t burn! Once out of the oven, let them cool until palatable, and serve while warm. I bet these would be great with some dairy free ice cream! Summer is coming to an end soon, so get your seasonal fruit fix in before it’s too late! But have no fear, I’m already thinking ahead to a follow up fall edition. 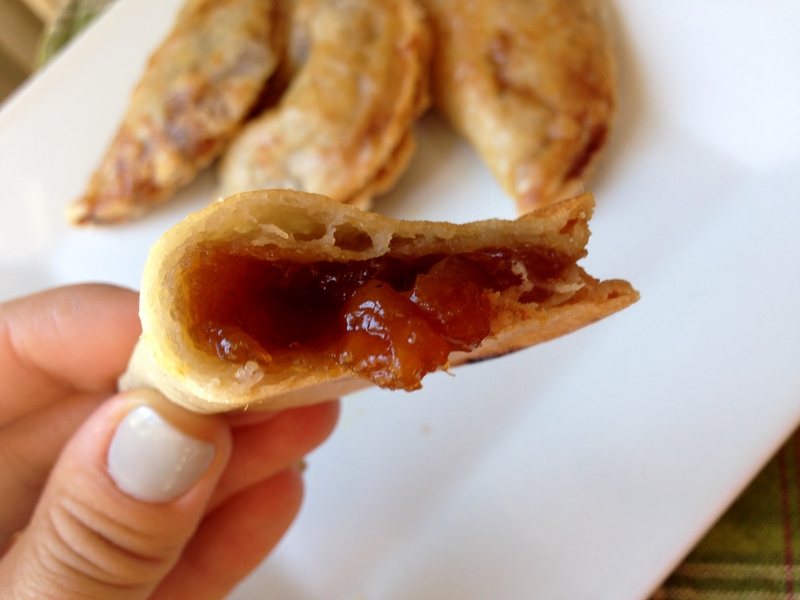 Say…apple pie pockets? Yum! Sign up for *FREE* emails! Enter your email below to receive free recipes delivered straight to your inbox!